We generated caustic beams using a digital micromirror device (DMD) experimentally. By uploading annuluses of various eccentricities to the DMD, we were able to produce caustic beams of different dimensions readily. These caustic beams were found to have the property of form-invariance. They also exhibit self-healing when partially obstructed by an obstacle. Furthermore, qualitative analysis shows that caustic beams produced from annuluses of greater eccentricity take a longer propagation distance to self-heal than those produced using annuluses with less eccentricity. J. C. Lorenzo, M. Revilla, J. P. Narag, and N. Hermosa. 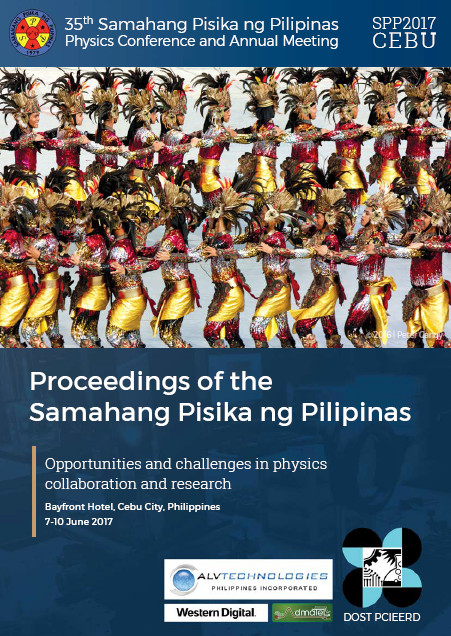 Caustic beams using digital micromirror device, Proceedings of the Samahang Pisika ng Pilipinas 35, SPP-2017-PA-13 (2017). URL: https://paperview.spp-online.org/proceedings/article/view/54.